As part of the badge issuance at the 2017 Worldwide Developers Conference, Apple is giving out custom black denim jean jackets, and an assortment of collectible pins. 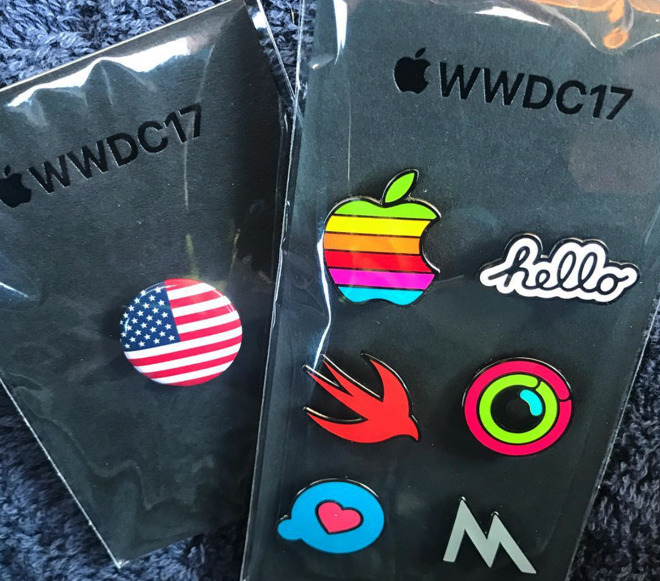 The seven pins that Apple is giving out in the "Developer Kit" are a flag pin associated with the nationality of the attendee, a six-color Apple logo, a script "hello" that the company has used on several occasions, a Swift logo, an Apple Watch activity rings pin, an iMessage sticker, and a Metal icon. 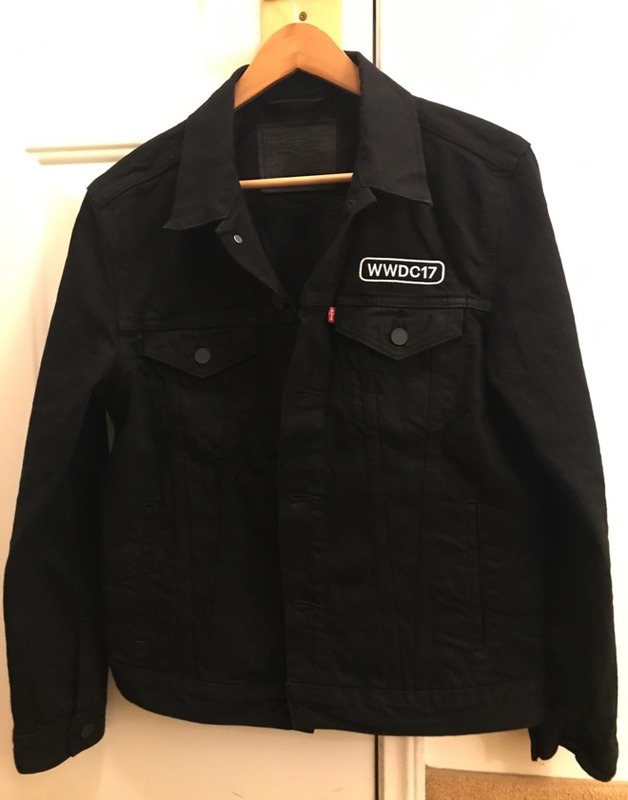 The denim jacket is manufactured by Levi Strauss, and has an embroidered "WWDC 17" above the left breast pocket. Apple is expected to discuss new versions of iOS, macOS, tvOS, and watchOS at Monday's keynote speech to launch the 2017 WWDC. In addition to some leaks suggesting some additions to iOS 11, the Apple online store is down so some form of new or refreshed hardware announcement is likely. AppleInsider will be in San Jose providing live coverage of the event starting at 7 a.m. Pacific.